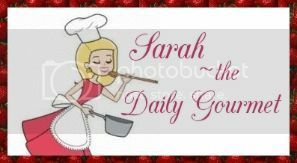 The Daily Gourmet: Gourmet off the grill!!! Please accept my apologies about my delay between posts. Between work, college, college assignments and other personal issues I fell behind - oops! SOOOOOO who loves food?! Raises hand! I live in a state where the summers can be hot, and this is a time when the grill becomes essential to cooking! This month the brand ambassadors have been working with Barilla, Classico, Johnsonville Italian Sausage AND the Reynolds Company! I was selected to work with Classico, and Johnsonville Italian Sausage, but decided to hop on board with the Reynolds Company as well. #MealMagic is amazing! Have you ever cooked using a foil pouch? If not you need too! Cooking in foil allows for hotter food in a shorter period of time, especially when grilling out! Have you ever had chicken masala? Well how about chicken masala on the grill? Well I have! I can't begin to describe how tasty it was either! This delicious main entrée cooks in less than 30 minutes and best of all...it cooks in a foil pocket, so there is less mess! Let your tastebuds take a trip to India and taste the delicious flavour of grilled chicken masala! !